Got a guess yet? If not keep reading! Well, Marty doesn’t forget about him. But instead of being goaded into the competition, he picks up a piece of steel from a fireplace hangs it underneath his shirt as a bullet proof vest, walks out to duel, allows himself to lose the duel by being shot, and then knocks Buford Tannen into a wagon of manure as he peers down in victory. Using a stolen steam engine, Doc Brown and Marty McFly are eventually able to get the DeLorean up to the right speed to engage the flux capacitor and return to 1985. Hopefully you guessed Back to the Future III! In iconic movie scenes like this one when one person is about to die, he/she says to the other “Save yourself!” Of course, the hero never saves him/herself because it doesn’t make for a good hero…right? A good hero has to save others! Well, save others and overcome their own character flaw…like Marty McFly! Two others also, who were criminals, were led away to be put to death with him. When they came to the place that is called The Skull, they crucified Jesus there with the criminals, one on his right and one on his left. On the one hand, we cannot save ourselves. We need others. We find ourselves in situations that we cannot solve alone. In fact, that is part of what faith is – trusting that someone else can save you! Coming to church is a recognition that you cannot save yourself, that we need one another. Parents are proof we cannot save ourselves. Mine have saved me from disasters more than I can count! On the other hand, you have to take responsibility to save yourself or you will never actually step in the direction of salvation. Think of this common movie scene: someone is falling, a hand reaches down, but the person falling has to decide to reach back and grab the hand. You have to want to save yourself. You have to take the initiative to save yourself otherwise you will never receive saving help from others. God’s very nature is to offer grace, but part of salvation is opening our hand and hearts, our mind and souls to receive that grace. We have to reach back to save ourselves. I like to take phrases like this – save yourself – and google them to see what people have to say. And there are no shortage of articles disagreeing with one another about whether or not you have to save yourself. Some believe no one else can save you except you. That when it comes to your thoughts, habits, and actions, only you can save you from you. It’s sort of the “only you can save yourself from yourself” adage. This is really popular in the self-help and therapy world. If there is something in your life you need saving from, then You have to take responsibility for yourself and save yourself. No one can change you except you. And there is a lot of truth to this right? Just ask two people in a relationship where one person thinks they can change the other! Some people believe you cannot save yourself. As you can imagine this is a big perspective in our Christian worldview. We cannot save ourselves. Only God can save us and God does so through Jesus Christ. And Christ works through the church which is us. So we are connected to one another in an ongoing work of salvation that begins with our togetherness as the body of Christ and manifests in the work of God through Jesus in our lives. We might also say that one person cannot see everything in a situation, so they need others. We are made to be in community, to work together in groups and teams. The attitude of saving yourself is individualist and isolationist. Try to save yourself and you will discover just how much you need others to help you do what you cannot do by yourself because of your limited strength or perspective or ability. So which is it? Can you save yourself or not? There seems to be value in both ideas! In the biblical story, Jesus is mocked three times. First by the leaders in the crowd. Then by the soldiers. And finally by one of two criminals at his side. In each case, we hear the words, “Save Yourself.” People mock Jesus saying: Save yourself if you can! So, what does Jesus do? Does he save himself or not? Hold on to that question. Next in the story, we hear from the other criminal at his side, often called the Penitent Thief. Actually, Luke doesn’t call him a thief at all….just criminal. Matthew and Mark call him a lestes (λῃστής). The translation “thief” is honestly a little to mild of a word for lestes. Violence and opposition is implied in the lestes. So, bandit, rebel, or insurrectionist is a better translation. So So we might call him the Penitent Insurrectionist! Interesting that he doesn’t ask Jesus for forgiveness. He asks Jesus to be remembered. He doesn’t ask to be saved. He doesn’t ask Jesus into his heart. In fact, it kinda sounds like the opposite, right? He’s asking to be held in Jesus heart! He begs to be remembered by Jesus. Is that penitence? Well, I don’t know. You make that call. What is clear is that the criminal knew and believed something about Jesus. He somehow knew that Jesus would be saved. That much seems clear through his words: “when you come into your kingdom.” That implies a pretty clear belief that whatever is happening on the cross is – in the mind of the criminal – not final for Jesus. This criminal knew that the Romans and their cross would not destroy Jesus. He knew that somehow Jesus would be saved from the cross. He knew that Jesus would enter into his kingdom. The penitent insurrectionist may be the only one in scripture who understood so clearly Jesus teaching in scripture. When the disciples never get Jesus words about death and resurrection, this insurrectionist did get it. Had he heard Jesus before? Had he been in one of the crowds to which Jesus preached? Was he a character in one of the gospel stories? Had Jesus changed his life before or after the crime for which he was being punished? We don’t have any of these answers. We can only speculate. But the insurrectionist does give us some answers. He answers the question before us today about saving ourselves. His understanding of what Jesus was doing on the cross reminds us that the answer to our question is multilayered and even ironic. This man knew that Jesus will save himself and silence those who were mocking him. This man knew that Jesus would save himself by giving himself. That is the irony: by giving himself Jesus received God’s salvation. Jesus saves himself by not saving himself! Sounds crazy, but it’s true! 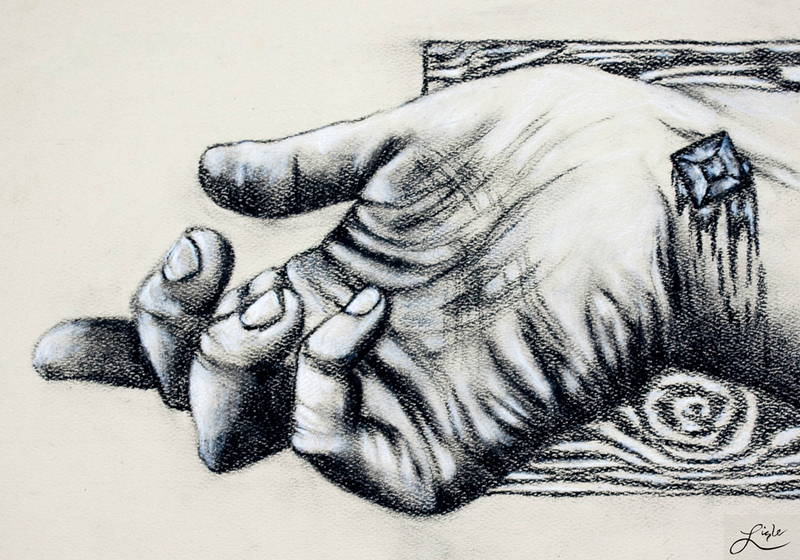 By giving himself, Jesus reaches out to God’s outstretched hand and grabs hold so that God can pull him into his kingdom. The penitent insurrectionist appears to understand that truth better than anyone else in scripture (except Jesus himself.) And if you ask me, he follows Jesus’ lead. In fact, I think his request to be remembered is a sign of how he follows Jesus lead. That criminal of a man gives himself just as Jesus gave himself. For what, for whom? We do not know. But he recognizes his crime. He gives his life just as Jesus does. And begs that Jesus would remember that he literally followed Jesus by taking up his own cross. This man’s goal is not to survive the cross. His goal was to follow the one who would bore the weight of the cross, to be remembered by the one who would defeat the cross! May you and I have the audacity to do the same. Amen.